Golden Galaxy Awards. Plenary session at the Russian Embassy in Washington, D.C.
Russian Ambassador Hon. Yuri. 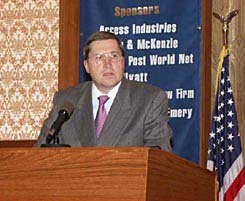 V. Ushakov delivers welcoming remarks. 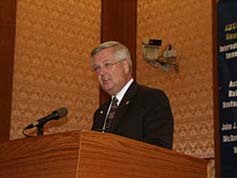 Congressman Curt Weldon presents his program on US-Russian Cooperation New Time  New Beginning. 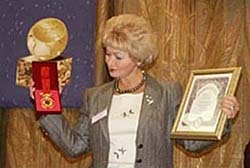 Senator Ludmila Narusova receives (post-mortum) Golden Galaxy Award for Anatoly A. Sobchak, First Mayor of St. Petersburg and first Chairman of the American-Russian Chamber of Commerce & Industry. 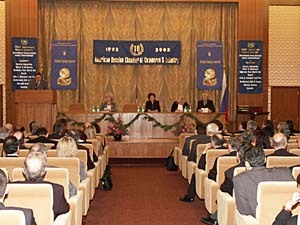 Presentation of the Golden Galaxy Awards is one of the most popular events in Washington. The event is targeted to senior government officials, members of Congress, business and NGO leaders, and the media. Winners of the Golden Galaxy Award gather at the Georgievsky Hall of the Russian Embassy for a memorable picture with Russian Ambassador Hon. 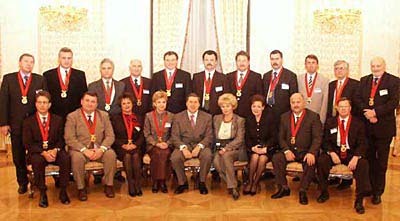 Yuri V. Ushakov (first row, 5th from left), and ARCCI President Helen Teplitskaia (3rd from right). 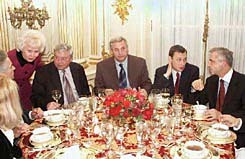 After the Golden Galaxy Gala at the Russian Embassy, political and business leaders are cordially welcomed to the Golden Galaxy Awards celebration at the Residence of Russian Ambassador Yuri V. Ushakov. 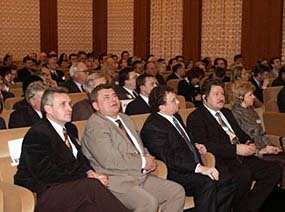 Mrs. Svetlana Ushakov (3rd from left) cordially greets distinguished guests. 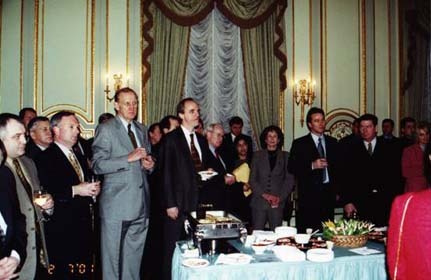 Welcoming reception in honor of the Russian delegation  winners of the Golden Galaxy Awards at the Russian Consulate in New York is co-hosted by Consul General of the Russian Federation, Sergey V. Garmonin, and ARCCI President Helen Teplitskaia.